We’ve been in the dog show world over 20 years and love it. American Kennel Club (AKC) Dog shows are a great place to learn about different breeds. That’s how we broke into this crazy game. Sherri and I attended a dog show and were hooked. 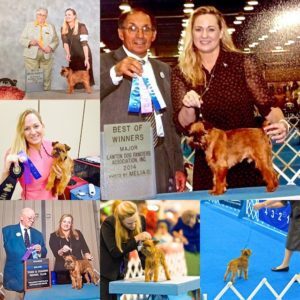 We’ve been blessed with world-class show dogs for decades. Kula is named after a little town in Upcounty Maui where we were married many years ago. Beavers Bend’s Grand Champion show dog will be competing again at the end of June in Oklahoma City. He’s had a stellar career and keeps on rolling!